It is not every day we get to see SEA URCHINS wash up in the colors in the rainbow. Every day the beaches on Sanibel and SW Florida in the last few weeks have been loaded with all sorts of Beach Bling from the storms we’ve been getting every other day. After sifting through thousands of dried spineless SEA URCHINS in the high wrack line on the beach to find the unusual colors, I needed to get down to the water’s edge to see what the newest measures were that the tide was bringing in. WENTLETRAPS and other cool minis! Every tidal line on the beach has different treasures right now from brought in by the high winds. It’s like a our very own science project spread out in lines along the shore for us to sort through and be amazed by. Oh Buoy! Torn from their CRAB TRAPS that washed up on the beach, buoys dotting the shoreline along with DRIFTWOOD, balls of SEAWEED, EGG CASINGS…. So… I brought home the SEA URCHINS I found from the top photo, but not all of them made it home in one piece. I know, I know… I should’ve taken a plastic container to the beach with me – dang it! But I really didn’t think I was going to keep any of them but they were just so pretty I just couldn’t help it. Ha! Lesson learned- I really didn’t “need” to bring them home ay way- that’s exactly why I put myself on a shell collecting “diet”. Hmmmm… This may take a little more work than I thought hahaha. Omg!! Will be there in 2 weeks! So hoping the ocean will be as generous as it is now….even 1/2 as generous! Such beautiful images Pam! Thank you so much for letting us see what gifts the Gulf has been throwing on the beaches! It was a fantastic shelling week on Sanbel and Captiva. Lots of cool beach bling, like the four-armed starfish I found. It didn’t loose an arm, the starfish was born/hatched with only four arms. Very cool! So amazingly gorgeous!! I am VERY jealous! Thanks for sharing the photos. When we were there in October for a month I went for my daily shelling excursion..we stayed at the Estero Beach and Tennis ..while walking north on the beach one morning I came upon hundreds of pen shells washed up on shore..it was amazing to see so many..none were alive they were all empty.You never know what the sea gives up on certain days..Wish that I was there these past few weeks!!! 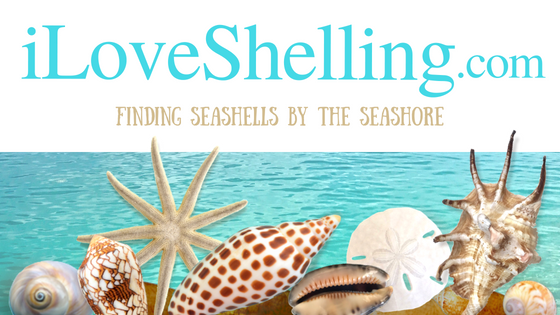 !…Happy Shelling!!! The buoys are awesome. Would love to find some of those. Wow! Look at all those beautiful treasures!! All different kinds of shells in all different colors. Mother Nature at her best! Thanks, Pam! Did you happen to show that sea star to anyone? My son and I were on Captiva last Friday and a lady showed us a four armed sea star she found. How funny if it’s you! Love these pictures Pam. While I have been fortunate to be here shelling and blinging this week, looking at your photos gives me an entirely different and beautiful perspective. Love those minis. That Pear Whelk is really colorful. storms brought lots of gifts to Manasota Key as well. So fun! Thank you for sharing. Beautiful pic with the seastar/starfish. Love the urchin colors. My sisters and I were there in October. I found 18 sea urchins. OMG. Please save some sea urchins for me. I will be there for a short birthday treat on feb 9 and 10( turning the big 5-0). Going on shelling tour on feb 10 and cannot wait to meet you, Pam. We will be there at the end of April – even though it’s later in the season, we always find wonderful gifts on the beach! Hope to go to Cayo Costo with you! Question? For the first time I have some sand dollars that turned a blochy yellow in the bleach water. Second long soaking did not help very much. Do I try pure bleach or is this a mineral and permanent. Love the urchin shells, gorgeous! I just visited St John for the first time over the holidays and took pictures of some really pretty white sea urchin shells and now I’m trying to identify which species they are (latin name as well as common) – would you be able to help? Oh Shari, it IS phenomenal AND fantastic! Haha those “someones”. yes I’ve been criticized many times by “those someones” many times and I’ve had to learn to shake it off (it took a while). It’s the circle of life in the ocean that has happened since the beginning of time. The good and bad things that wash up on the beach – it’s all a learning experience- thank goodness we are curious creatures. I have always wanted to find an ID chart for urchin tests too. I have books upon books but I never seem to get good iDs on just the dried tests instead of the live animals. If you find one, lemme know too? Is it OK to take buoys that wash up? Or should we leave them alone for the owner to come collect them? what beach did you find the sea urchins? ?